So freaking annoying. I’ve been off the bike for a month now with the same nerve issue I had with my foot in January (Morton’s Neuroma). I feel like I have gone back 9 months in time and so has my riding. Whilst travelling a little for work two months ago, I ate too much, didn’t ride, didn’t exercise, rode a bit, then got the injury, continued eating and didn’t exercise. Now I’ve started to put weight back on. It’s a vicious cycle when you continue to eat like you do when you burn calories. But the thing that is so frustrating is I haven’t resolved the issue. Is it the tightness, or hardness of the shoes, or the angle I peddle in them, or even walking in them to the bike. So I’ve decided to go back to what works and doesn’t put stress on the foot, and that is the more flexible loose fitting MTB shoes that I started with and never had any issues with. I’ll try them for a while and see how the foot settles and if all good, maybe I try the new shoes again, maybe I just cruise on and accept the MTB’s are for me. Yet there is a question that plagues my mind and I have no idea how to answer. Have I damaged my body for so long (smoking, drinking, no exercise) that it’s never going to be good and I just have to manage what is? Any thoughts? Anyhow it’s so good to be riding again, even if a bit gingerly but better than not because I hate other exercises (unless I try surfing again). My legs feel good and get stronger as I ride but I have really noticed how my lungs have gone downhill so quickly as it now only takes a little effort to get to high bpm on the heart rate monitor. Time to work on my fitness again. Spring is coming and I have some rides to do! I have decided not to go racing. I have decided for now not to do long distance. I have has a few aches and pains, been travelling for work and now winter has arrived – all reasons to make it harder to ride. But, my weight is good, my lungs are fresh, my muscles still get sore and I get comments on how much better I look. So what keeps my cycling interesting? For me it’s the activities, and keeping up the variety. 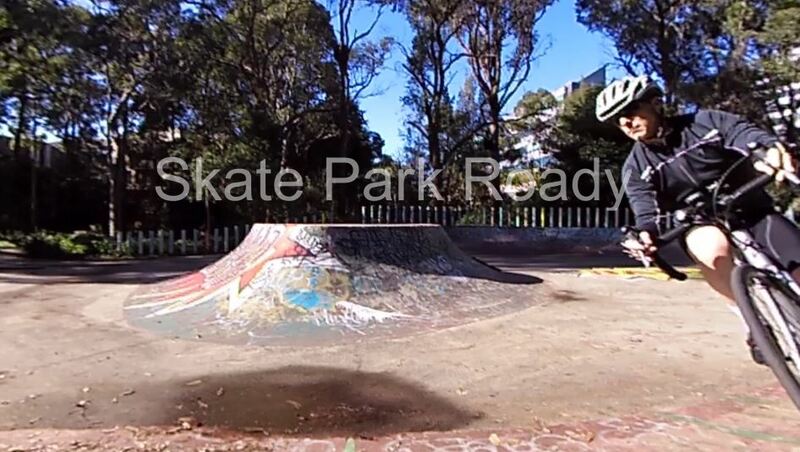 If you want to see some of my latest, I hope you enjoy my skate park rides below. I will post some more content soon. As I ride past people on their stationary bikes in the gym I dont get how that can be interesting, stuck in doors and the relentless boredom. They will never be able to go for a four hour ride and soak up what the world has to offer. After riding suburbia for 8 months, I have learnt to classify three types of risky drivers. 1. The Taxi. They get close but my hope is they are professional enough not to hit me. 2. The ‘P’ plater: Provisional drivers have no concept of how close they are, it worries me. 3. The Soccer Mums car: Do you have a car shaped like this or bigger and higher? To me they don’t belong in the city. Many drivers of these type of vehicles think they are invincible, they think they own the road, they are always in a hurry, they often come too close and they rarely show patience. These drivers are by far the worst on the roads (in my opinion) and are my biggest risk. Anyhow, that’s enough venting. Overall, I think drivers are pretty good and I am usually treated with respect as I ride. But they will never be perfect so sometimes it’s up to us to fill the gaps of their mistakes. Today, I realised a safety tip about being in traffic that I felt compelled to share. Check the animation below. 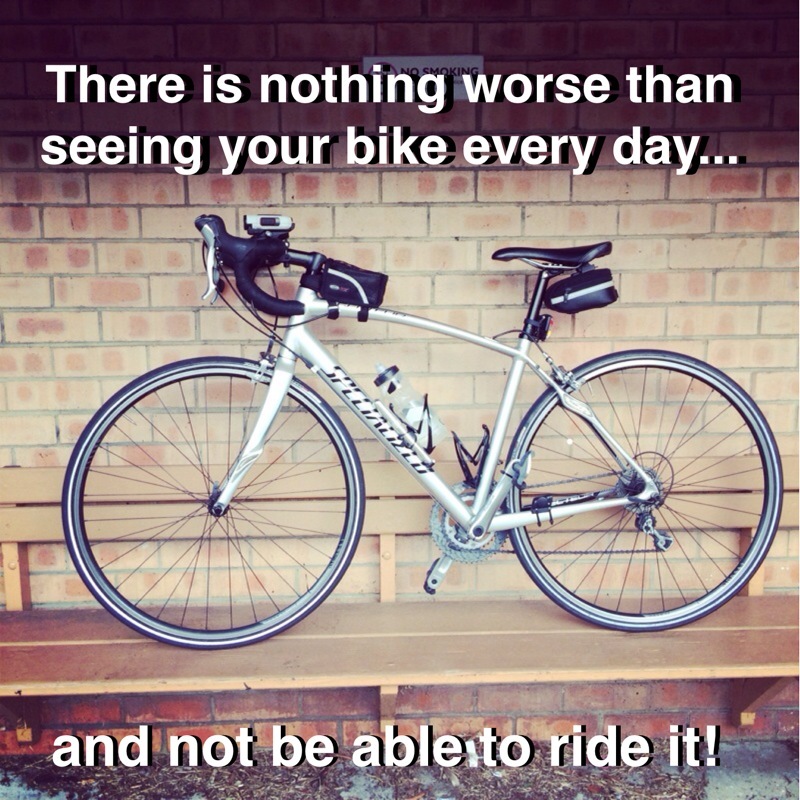 It may be the 1% difference between being on a bike or in an ambulance…. The 1%, it’s a theme I will talk about another day but today, it’s not about an idiot driver, it’s about what’s not in the front of a driver’s mind, and that is you. By thinking ahead, riding defensively and being prepared, the result is if they make a mistake (and they will), you are ready to react and move on. The road, it takes you places – just make sure you do your best to get there safely. #8 Is your team doing bad? Follow Cycling! 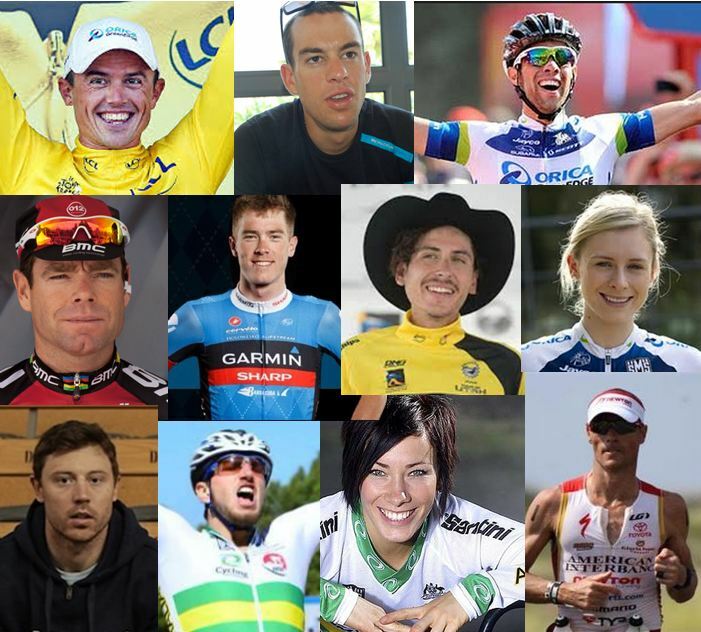 On the eve of the world cycling championships (which start tonight) I am filled with hope and anticipation since all of my other sports have finished miserably. My Cronulla Sharks lost their semi-final on Friday, the Aussie cricket team are regularly beaten by England, the Wallabies just get a win over Argentina and Mark Webber is wrapping up and winding down his year. But I have to say, this is my first winter (European Summer) of seriously following all forms of road racing and I have loved it. Every morning I have woken up and checked the twitter feed to get my daily fix of Aussies going well. I had always found it hard to find a reason to give up smoking because my desire and motivation was never strong enough. But as I approached 50, I could feel my health fading fast, my lungs felt like they were shrinking and my heart had small pains all over the place. I was concerned for my longevity or lack thereof. Therefore, I will be forever thankful to my brother for loaning me his mountain bike and inspiring a lost joy, triggering something that can save me from smoking (though sometimes I feel that my new hobby will be the new death of me, at least I will be enjoying it). It’s been five months since my first serious ride for 30 years and I am still going strong. My heart feels great, my lungs can breath, I have lost 9kg (20 lbs) and I can now ride 100km’s in a session. Who would have thought? Not me, that’s for sure. I am a road rider. As much as I can see the fun in dirt, mud and dodging trees. Road riding is what we did in my mid teens (when I last owned a bike and road all the time) and is what I enjoy today. Maybe I will add a mountain bike later but for now – its all tarmac. Anyhow, I have decided to blog about my learnings. Maybe it will inspire someone to get off the cigs and get out on a bike, or maybe trigger the same feelings of rediscovery that I have had, about my pre-car childhood joy that can help you get fit again. But the real point, whatever the motivation is there is so much to learn and understand for an adult to get into cycling, and getting started is the hardest part. I have 5 months of content to share about my lessons learnt as a novice. So lets go back to February 2013, it’s the end of summer…. This seat is hard. These clothes are uncomfortable. This hill is steep…..